An instrument that will help astronomers study dark matter and galaxies in detail has begun to be assembled at the Subaru Telescope in Hawaii. The Metrology Camera is the first of several sub-components currently under construction worldwide to be assembled at its final destination in order to create the Prime Focus Spectrograph (PFS). When the PFS is mounted on the telescope, it will be able to measure spectra of up to 2400 celestial objects in the night sky all at once. This is important because it will help astronomers understand how stars and galaxies are distributed, and how they move around us, affected by the presence of dark matter. Studying millions of stars and galaxies across large areas of sky will therefore help create a dark matter map of our Universe. A unique galaxy is making the case for dark matter, even though it has very little of the mysterious substance. Astronomers have determined that the galaxy NGC 1052-DF2, or DF2 for short, has 400 times less dark matter than expected for an object of its size. In addition to providing insight into how galaxies form, the unusual galaxy is helping strengthen the argument for the existence of dark matter, researchers said. ​Scientists at Rutgers University–New Brunswick and elsewhere are at a crossroads in their 50-year quest to go beyond the Standard Model in physics. Rutgers Today asked professors Sunil Somalwar and Scott Thomas in the Department of Physics and Astronomy at the School of Arts and Sciences to discuss mysteries of the universe. Somalwar’s research focuses on experimental elementary particle physics, or high energy physics, which involves smashing particles together at large particle accelerators such as the one at CERN in Switzerland. Thomas’s research focuses on theoretical particle physics. 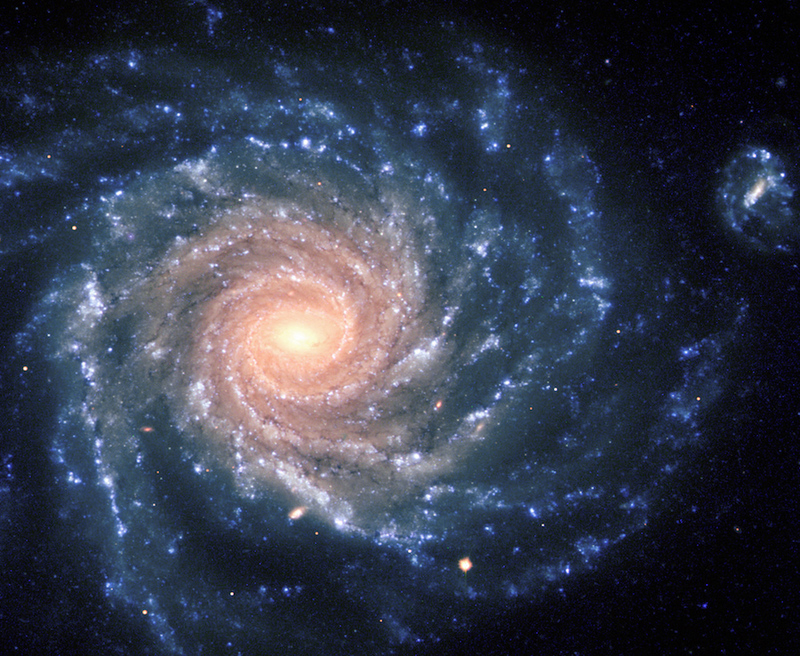 In a study published March 14 in The Monthly Notices of the Royal Astronomical Society, astronomers announced the discovery that all galaxies rotate about once every billion years, no matter their size or mass. To carry out the study, the researchers measured the radial velocities of neutral hydrogen in the outer disks of a plethora of galaxies — ranging from small dwarf irregulars to massive spirals. These galaxies differed in both size and rotational velocity by up to a factor of 30. With these radial velocity measurements, the researchers were able to calculate the rotational period of their sample galaxies, which led them to conclude that the outer rims of all disk galaxies take roughly a billion years to complete one rotation. However, the researchers note that further research is required to confirm the clock-like spin rate is a universal trait of disk galaxies and not just a result of selection bias. Stars currently orbiting the Milky Way were violently ripped from our own galaxy by an invading satellite galaxy, astronomers have discovered. When galaxies pass close by to each other, massive gravitational forces fling stars, dust and gas around like a giant cosmic blender. These interactions can dramatically distort a galaxy’s structure and shape, and even influence its future evolution. The Milky Way has led an active and often violent life with many close gravitational shaves; its iconic spiral structure may even be the result of one such tussle. Now an international team of astronomers, led by Maria Bergemann from the Max Planck Institute for Astronomy in Germany, has studied two groups of stars in the stellar halo that encircles the Milky Way’s star-studded spiral disc. The chemical composition of these stars was found to closely match those in the galactic disc, providing compelling evidence that they have been evicted from their original birthplace in the Milky Way. 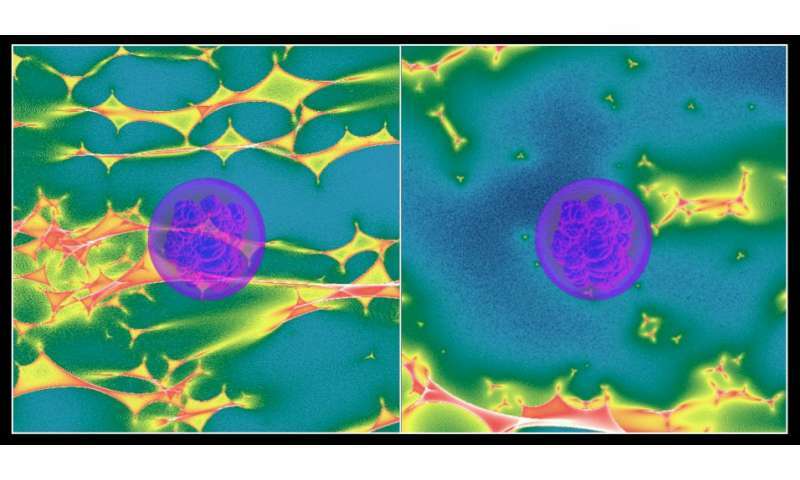 Can strongly lensed type Ia supernovae resolve one of cosmology’s biggest controversies? In 1929 Edwin Hubble surprised many people – including Albert Einstein – when he showed that the universe is expanding. 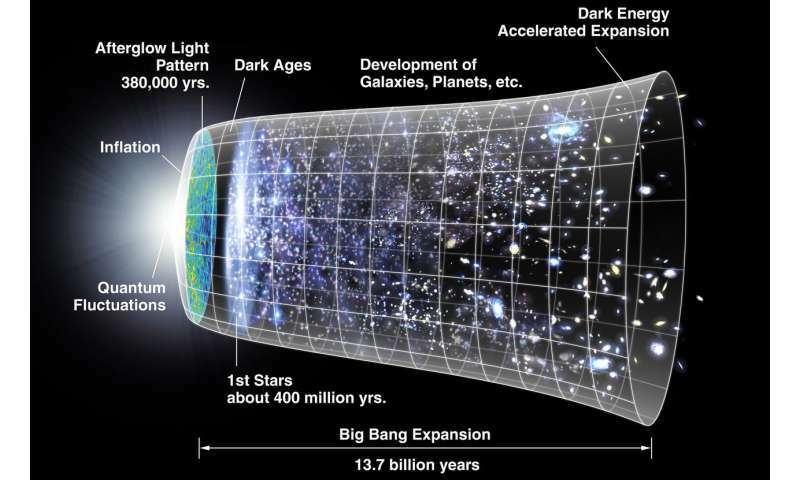 Another bombshell came in 1998 when two teams of astronomers proved that cosmic expansion is actually speeding up due to a mysterious property of space called dark energy. This discovery provided the first evidence of what is now the reigning model of the universe: “Lambda-CDM,” which says that the cosmos is approximately 70 percent dark energy, 25 percent dark matter and 5 percent “normal” matter (everything we’ve ever observed). Until 2016, Lambda-CDM agreed beautifully with decades of cosmological data. Then a research team used the Hubble Space Telescope to make an extremely precise measurement of the local cosmic expansion rate. The result was another surprise: the researchers found that the universe was expanding a little faster than Lambda-CDM and the Cosmic Microwave Background (CMB), relic radiation from the Big Bang, predicted. So it seems something’s amiss – could this discrepancy be a systematic error, or possibly new physics? Great article from Professor Karl Glazebrook of Swinburne Uni. Details of the detection are revealed in a paper published today in Natureand tell us these stars formed only 180 million years after the Big Bang. It’s potentially one of the most exciting astronomical discoveries of the decade. A second Nature paper out today links the finding to possibly the first detected evidence that dark matter, thought to make up much of the universe, might interact with ordinary atoms. Interesting results from Hubble suggesting confirmation of a discrepancy in the rate of the expansion of the Universe. The most precise measurements of the expansion rate of the universe are forcing astronomers to consider something unexpected at work in the universe. Latest findings using the W. M. Keck Observatory on Maunakea, Hawaii increase scientific understanding of how powerful winds generated by supermassive black holes impact and regulate the growth of 3C 298 Quasar Host Galaxy. Fast Radio Burst (FRB) might actually be on the verge of being solved. Picked up from twin instruments, Ligo and Vigo.